Another guilty pleasure of mine is bags. I absolutely LOVE bags. They are beautiful and just melt my girly girl heart. Living in the North Dallas area, I have the pleasure of being surrounded by all things SHOPPING! Oh darn, some would say. OH YAY! Others would say. I'm a part of that group. I work in the outlets by my house and with that comes the tough responsibility and duty as a woman to shop at Kate Spade, ESPECIALLY since their sale right now is 50% off the entire store..yes you heard me right! 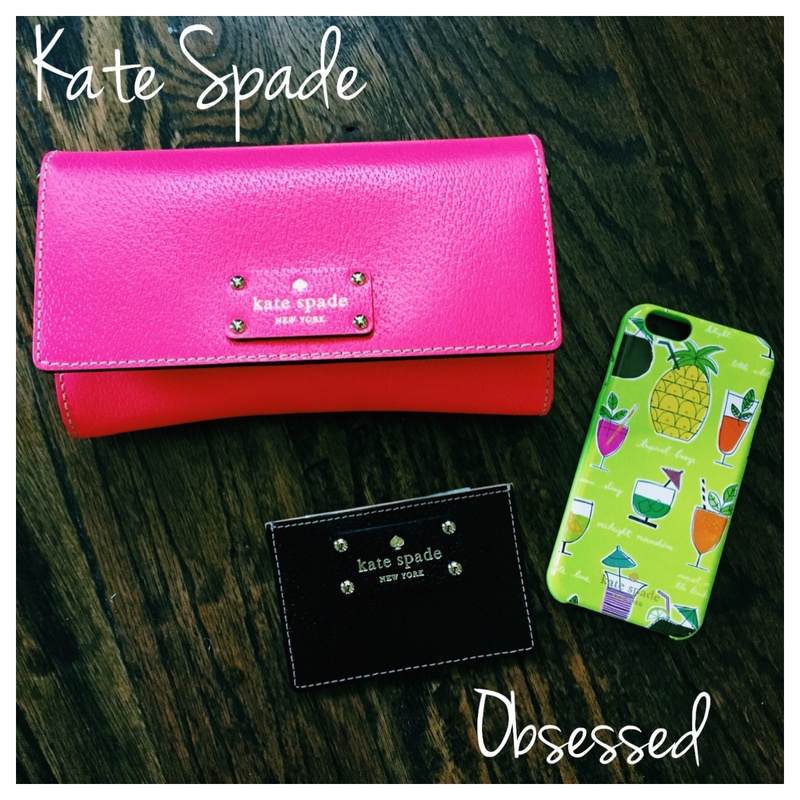 50% off KATE SPADE items!! *insert loud girl scream* I purchased my very first Kate Spade cross body when I completed my freshman year at Commerce in May and this weekend I made two other small purchases to add to my collection! My cross body is amazing! It's the perfect summer clutch that is an amazing pop of color for any outfit. I got it for $70, it was a STEAL!! The two items I purchased this weekend were the small wallet called the Graham which holds a couple cards and cash and is the perfect "practical, carry with you everywhere" type wallet, I got it for $22. My latest purchase is my colorful summer phone case which I love. It brings a smile to my face every time I look at it. It's just so...happy! That was $21. Hopefully as summer continues my "bargain Kate Spade collection" will continue! For now, I'll live colorfully, as Kate Spade herself would say..